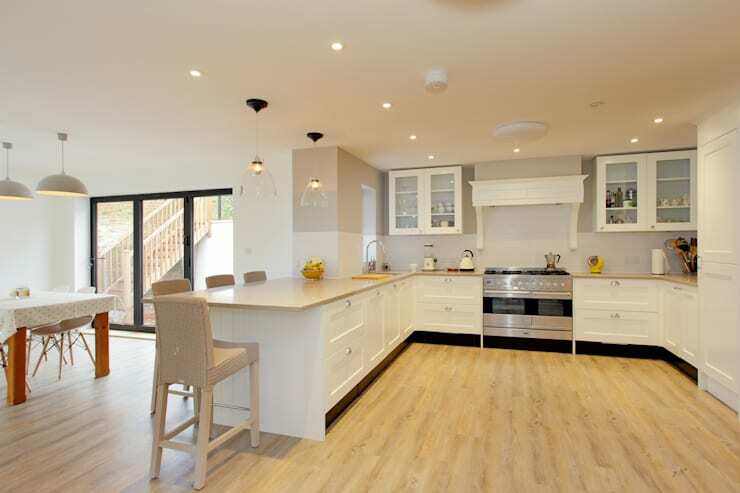 We all want our homes to be the best they can be, but often a limited budget forces our plans onto the back burner. But did you know that you don't have to spend a fortune on making your home look fly? It's true—homify's interior designers know hundreds of insider tricks that will make your home look fabulous for next to nothing. 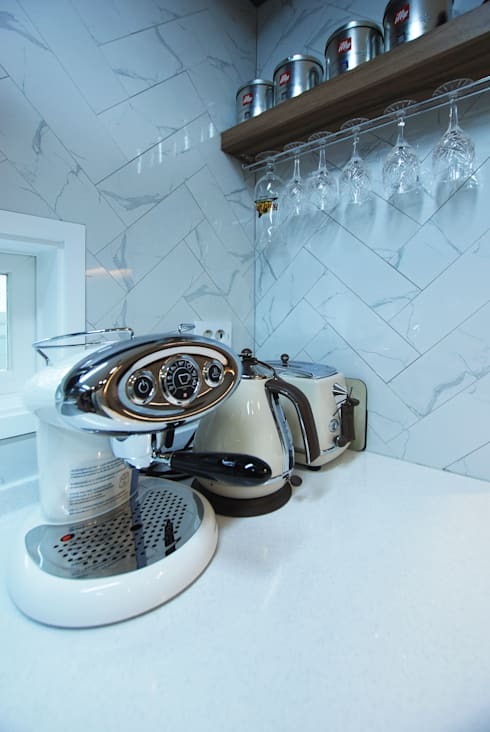 Check out these 11 tips that have come straight from the lips of our professionals, and begin your budget renovation adventure today! No one likes a cluttered hallway. Excess coats, shoes and accessories get in the way and make even the most thoughtfully decorated space look ragged and unstylish. Keep it organised by fixing a series of hooks to the wall, and invest in a large trunk for shoe storage. If you want to go one step further, whip up some cushions and turn the top of that trunk into a comfy seat—visitors will appreciate a place to sit while they remove their shoes. Open wall shelves make your most-used appliances and crockery easy to access, and they take up far less space than conventional kitchen cupboards. What's more, they're a budget-friendly DIY project—floating shelves like the ones pictured are quick and easy to install, and you won't need a professional to help you. Just remember not to overload them once they're up—cluttered shelves make a kitchen look messy and disorganised. Invite warmth and happiness into your home by feng shui-ing your front door. Keep it simple and symmetrical, and opt for monochromatic shades to really make a statement. 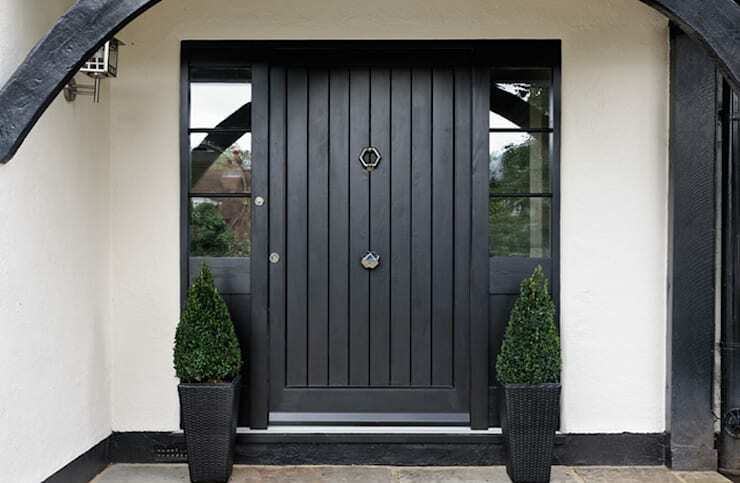 A black door might sound extreme but trust us, it looks far classier than you'd imagine! 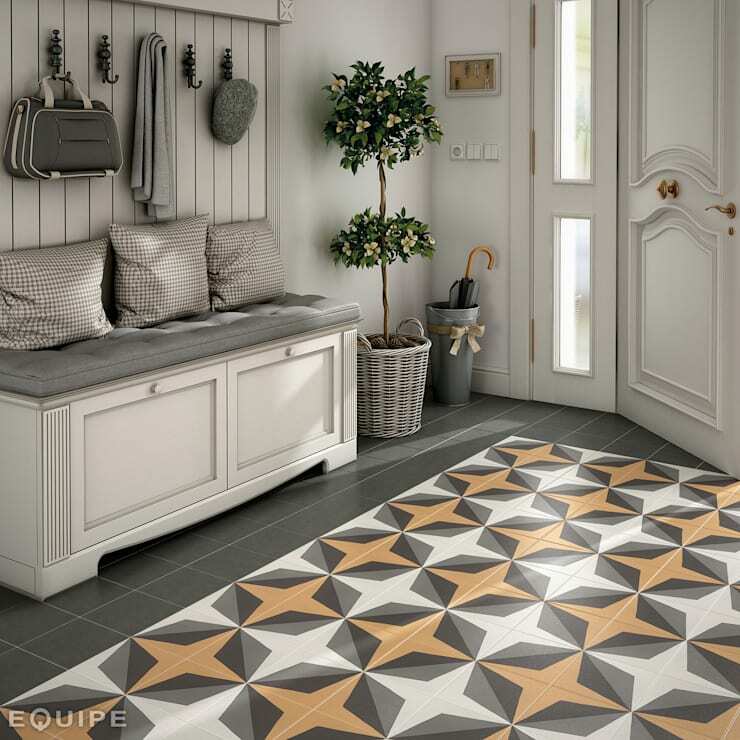 Keep your doorstep well-swept, and place a couple of potted plants on either side of the entrance to encourage vitality and joy in your home. Finally, surround your door with mirrors to brighten up your porch and reflect negative energy from your home's facade. A little colour can have a huge effect. Ditch the minimalism and repaint your kitchen in bold jewel tones—it will invigorate and inspire you to make ever more adventurous dishes. Plus it will hide far more stains than white will—what's not to like? Laminate flooring is a cheap and easy-to-install alternative to wooden floorboards, but it requires a little more TLC than most people expect. Water damage and grease can wreak havoc with the surface, so it's important to learn how to clean your floors properly in order to keep it from looking tired and worn. Vacuum the surface with a soft brush attachment, and then use a damp cloth dipped in vinegar and warm water to gently polish the whole thing. Time consuming? Sadly yes. Is the result worth it? Absolutely. 6. Small investment? Big impact! 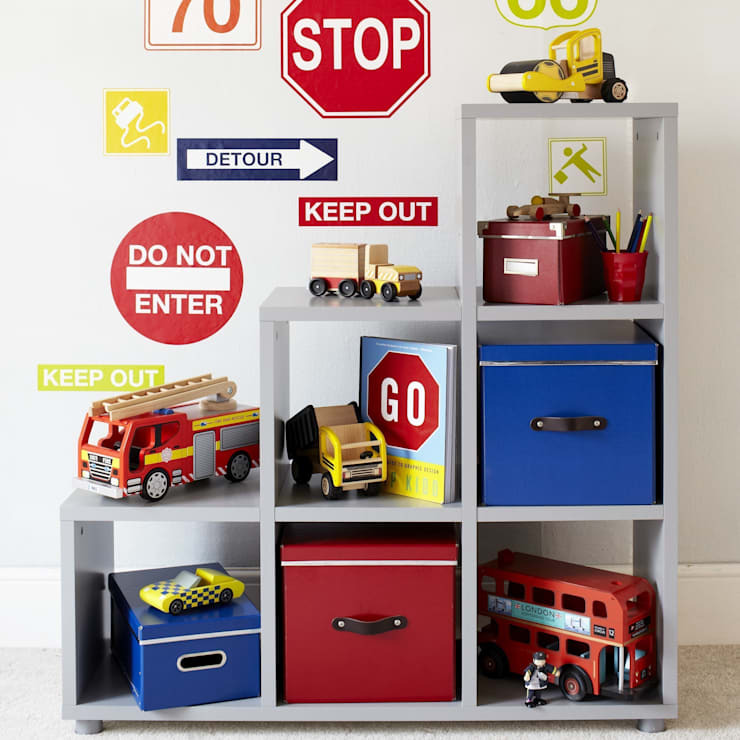 Superior storage can be a lifesaver—especially if you have small children. There's no need to spend a small fortune, either. Stackable shelves like the ones pictured are inexpensive, stylish and practical. Look for quirky shapes and flexibility, so that it's easy to move your furniture around when it suits you. Grab that useless old ladder from your cleaning cupboard and put it to good use! 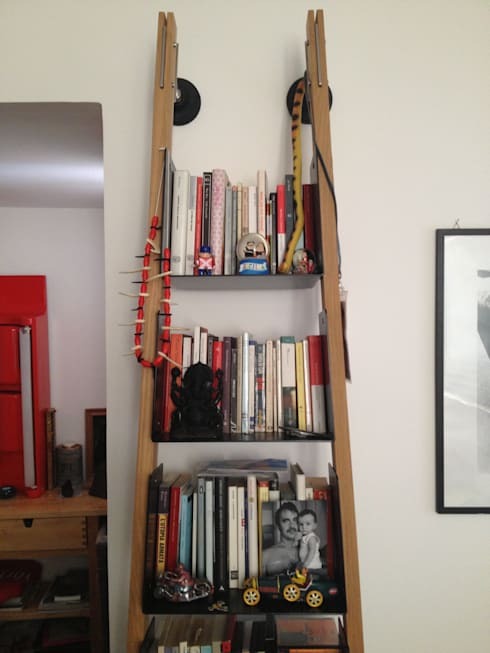 Ladder shelves are a hot 2017 home design trend—just attach it to the wall, fix larger shelf surfaces to the rungs, and arrange your treasured books and possessions as desired. 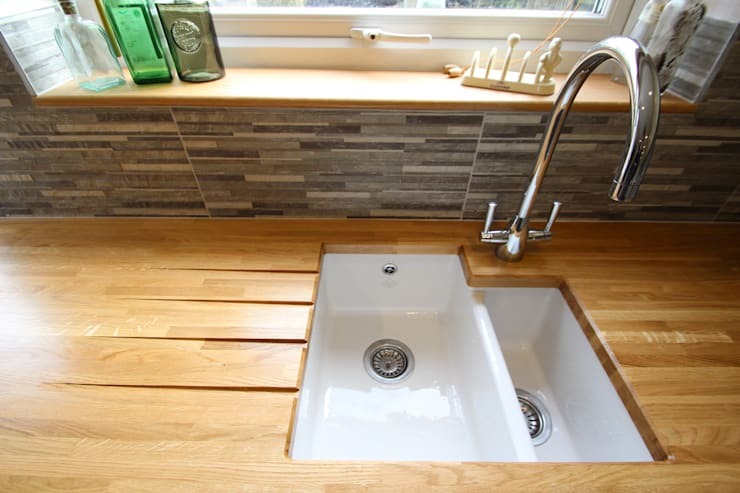 A two step sink makes washing up a breeze. Use one sink for washing and the other for rinsing, or one for pots and pans and the other for scrubbing vegetables. 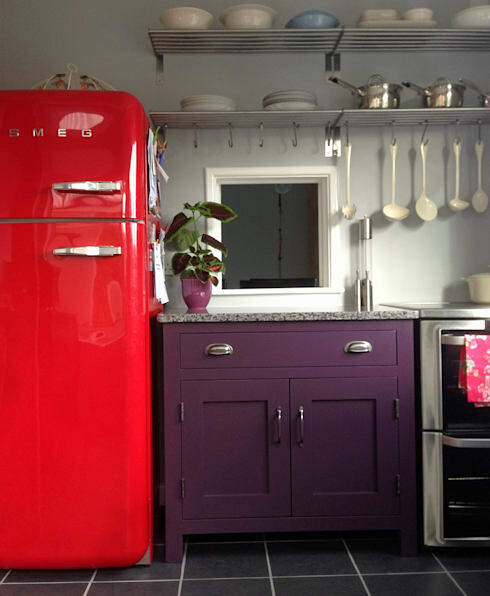 It's a functional and cost-effective way of updating your kitchen—you'll save a small fortune on your water bills! Recycle those rustic wooden vegetable crates by incorporating them into your interior design scheme! 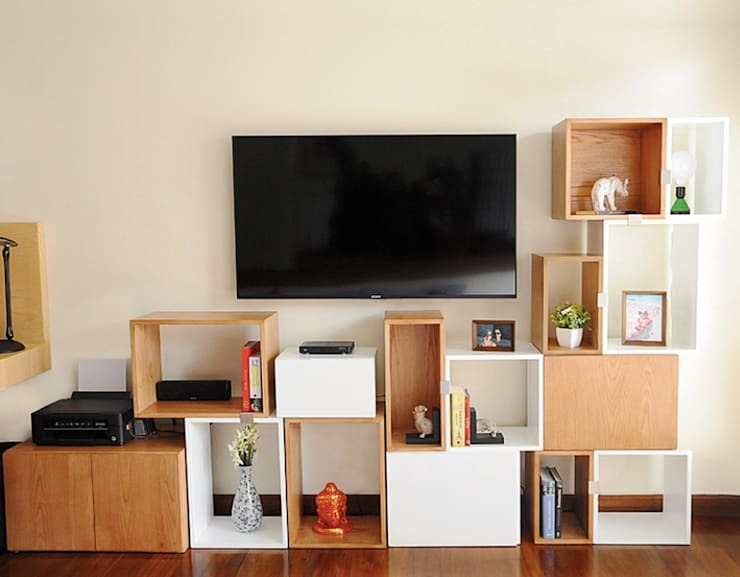 Crates can be used to make wonderful shelves, bedside tables, TV stands, and much more, so don't consign them to the dustbin just yet. 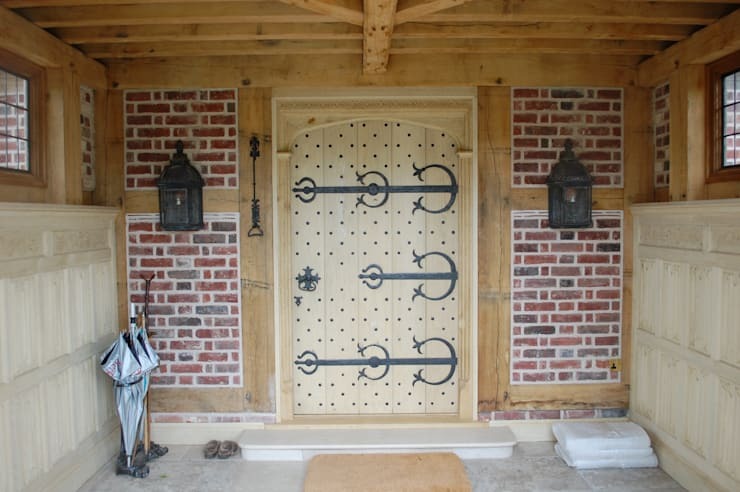 These Medieval style doors aren't just great to look at. They're sturdier than your average front door thanks to the tough iron skewers that reinforce the structure, providing added security for you and your family. Your home is your castle, so be smart and invest in a suitable door. Nothing makes a house look tattier than a grubby old carpet. It's easy to let grime and dust build up in our textiles, and even easier to let a cleaning schedule slide. After all, it takes a long time for dirt to become visible on most carpets, so we tend to take the old out of sight, out of mind approach and only start cleaning when the grime becomes a problem. Don't let laziness win—invest in a decent hoover and a smart steam cleaner that will keep your home looking spick and span. 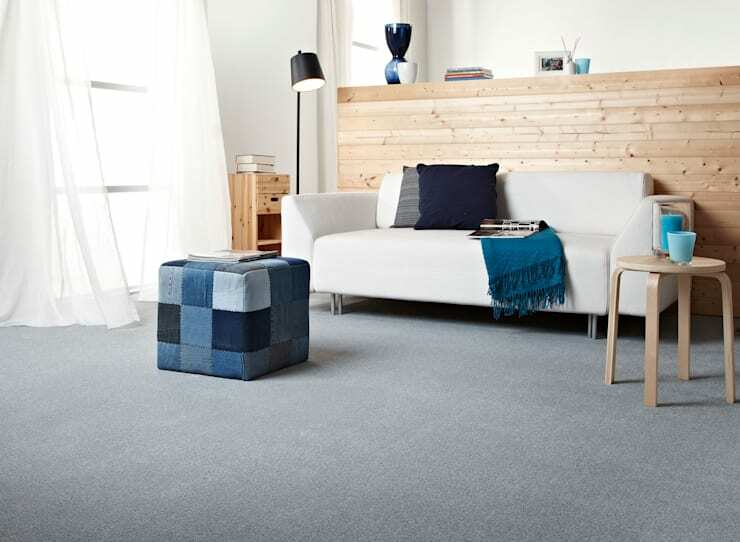 A well-maintained carpet can last for years, and regular cleaning will make it look brand new for longer. If you liked this article, you'll love: 36 double-storey facades that dazzle. Which of these ideas are you excited to try? Let us know in the comments below!